Actual dinner disasters are probably rare. But when things go wrong, the awkward situation created can feel disastrous! Drinks get spilled, utensils get dropped, and insulting comments fly. No one can prevent awkwardness or accident, but knowing what is expected of you as a host or as a guest goes a long way in helping you feel prepared. 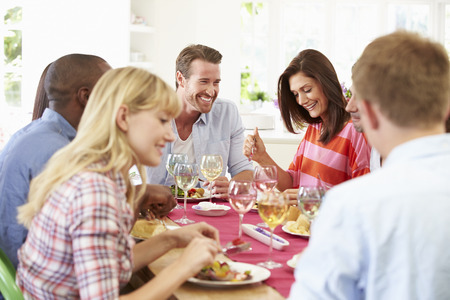 As guests and hosts, there are reciprocal expectations being played out. When an expectation isn’t met, it becomes an ingredient in the recipe for disaster. When hosting an occasion, you are always open, welcoming, and hospitable. Your warm smile always greets your guests. Your planning is impeccable, you are ready and willing to serve a marvelous meal, ensure the table conversation is continual and pleasant, and play an attentive host. The caterer is late and your guests arrive hungry. You remain polite and upbeat! Maybe you can assemble a tray of treats from items in your kitchen to tide everyone over until dinner arrives. Or switch the itinerary of the evening so that dinner doesn't feel so delayed. No matter what circumstances come at you, it’s important to remember that, as host, you are responsible for the tone of the occasion. By remaining calm and confident, you can make good decisions on how to handle any mishaps. As a dinner guest, you appreciate being invited and arrive punctually, in a friendly state of mind. You are ready to play your role in conversations, interested in what others say, and contributing questions and comments to remain engaged. A good guest is also aware of personal space at the table. Not only are you mindful of your table manners, you are mindful of the table space of other guests. 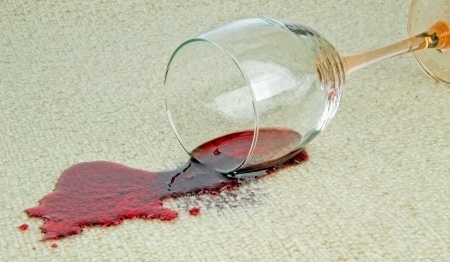 A red wine glass crashes to the floor and splashes the dress of the woman sitting next to you. Fortunately, your host springs into action asking everyone to remain seated as she checks the spill and arranges cleaning of the mess. You remain helpful and apologetic, offering to pay for the dress cleaning and replacement of the wine glass. You also apologize to everyone at the table for the disruption. As you can see from the examples above, it takes both host and guest working together to get through potential dinner disasters. Remaining mindful of the expectations placed on the role you are playing, and doing what is expected of you, is what keeps a mishap from becoming a disaster. And if you are ever unsure of any expectations, just remember that common courtesy and respect for others go hand in hand. Accidents will happen. 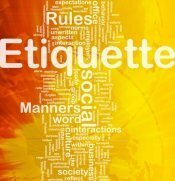 But using even the most basic of etiquette rules will get you through them gracefully.